Sikkim is a small and beautiful state of Himalayan region of India. Located at an altitude of 5500 ft is a tourist paradise for its natural beauty, culture and handcrafts. There are many famous Buddhist monasteries located inside Sikkim. State of Sikkim is located at latitude of 27-28 North and Longitude of 88-89 degree east. The temperature varies from 21 to 13 degree Celsius in summer and 13 degree to 5 degree Celsius in winter. Light woolen cloths in summer and heavy woolen cloths in winter are required. There are different road links available to enter Sikkim but most important of them is from NJP (New Jalpaiguri in West Bengal State) on National Highway Number 31A ( NH 31A ). This road enters Sikkim at Rangpo check post. 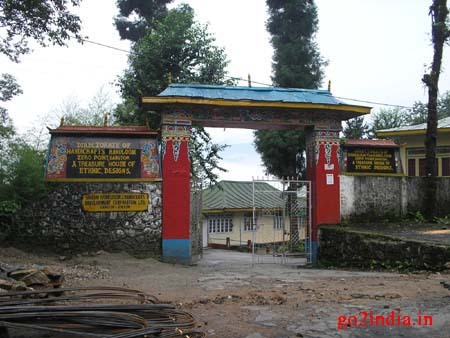 Rangpo check post is located at a distance of 77 KM from Siliguri, Kalimpong is 40 KM and Darjeeling is 77 KM. 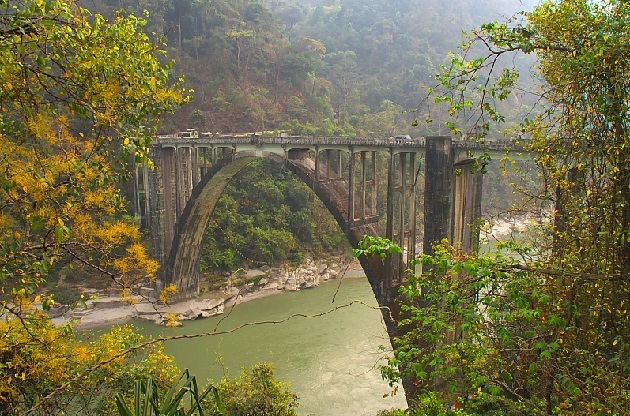 From Darjeeling the road joins the road from NJP by the side of river Teesta. By rail nearest station is New Jalpaiguri ( NJP) located at a distance of 125 Kms. NJP is well connected by long and short distance trains from Delhi, Kolkata, Chennai, Mumbai and other major cities of India. NJP is one on the main station for the train line connecting Gauhati and north east States of India with main train lines of the country. From all corners of the country train goes to Gauhati passing through NJP station. By air the nearest airport is Bagdogra in West Bengal State and approximately 125 Km from Gangtok. By road it will take four hours and Sikkim tourism department operates daily helicopter service between Gangtok and Bagdogra during different flight timings. Cost is Rs 2200/- per head. Being a border state and for some other reasons special permission is to be taken for Indian ( to some areas of Sikkim ) and for foreigners to enter into Sikkim. Foreigners must obtain ILP ( Inner Line Permit ) to enter into Sikkim. This is issued based on Indian Visa. ILP can be obtained from all Indian missions, consulates , high commissions abroad, Sikkim tourism offices at Kolkota, New Delhi, Siliguri, Rangpo check post and Darjeeling magistrate office. Two photos and photocopies of passport and visa details are required for getting ILP. This is normally issued for 15 days. Your permit can be extended three times and in total you can stay 60 days ( maximum ) in Sikkim. 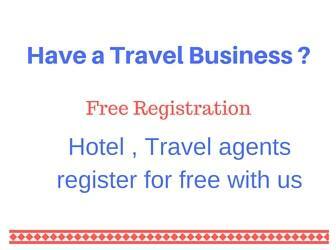 Contact Local tourist office in Sikkim to extend your stay. Note that wit this permit you can access to many places in Sikkim but some border places like North Sikkim, Tsomgo Lake etc requires special permission which can be obtained from your travel agent. Each permit requires two passport size photos, proof of identity and copy of your passport and visa. Carry your passport, visa and photos with you. Keep some copies of these documents and copy of your photo. Some areas like Guru Dongmar Lake and beyond Yumthang valley only Indians are allowed. 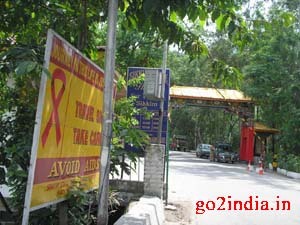 Indians can easily enter into Sikkim through its various check posts. You can reach Gangtok, Pelling or other district headquarters without any permission or permits. For some areas to visit inside Sikkim like Nathula, Tsomgo Lake, North Sikkim etc prior permission is to be taken (for Indian tourist also ). Your local tour operators can easily arrange one for you. But submit your details one day before as the permits are issued on the day of journey in morning hours. Each permit requires two passport size photos ( of all adult members ) and copy of identity proof. Separate permits are required for Nathula and for North Sikkim. So carry 4 Nos of photos if you have plan to visit Nathula, and North Sikkim. Your permits are to be checked at different check posts and on return journey it will be submitted. All these will be taken care by your driver or guide. There is no meter system in Sikkim Taxis but all have rate chats pasted in window and have a copy inside. Rates are fixed between two places and vary little depending on type of vehicle. 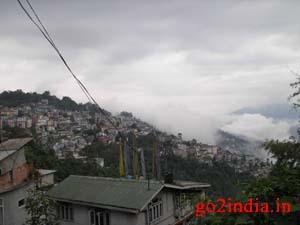 we 4 couple are planning to visit SIKKIM AND NEARBY in the Month of Dec..MOST probably from Dec 30th to jan 10th 2012. Send me the package details including following information. Do let me know what will be the cost of stay and travelling for Couple. We are Pure Vegetarian and the hotel stay should be in an arround the pure veg hotel.